2 tablespoon freshly squeezed lemon juice, keep the peel. Make sure it's organic lemon. Mix all the ingredients together, except tomato and lemon peel. Let it stand for an hour. In the meantime, simmer the tomato with lemon peel and season if needed. Add sliced chili. 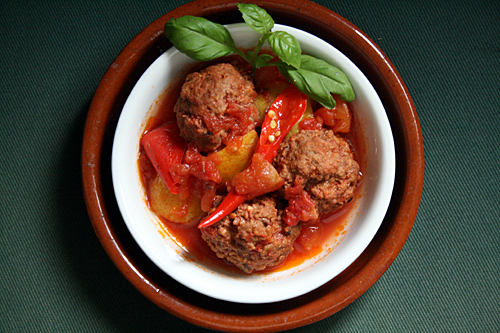 Shape meat into balls and add to the tomato sauce. Cook gently until juice is reduced to half. Garnish with mint leaves.